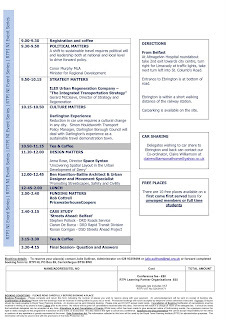 The RTPI present their Movement Matters conference at Ebrington on 27th May. "there is an absolute priority to integrate transport and planning in urban areas, to reduce the need to travel". 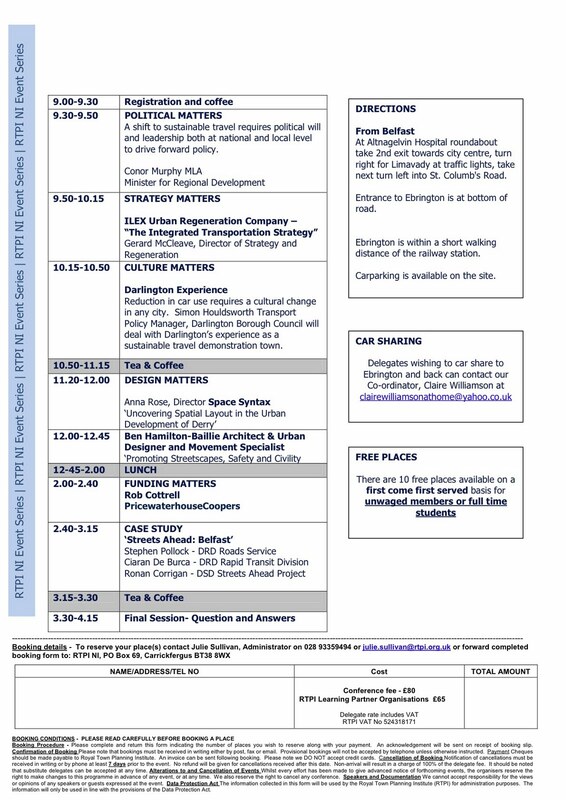 This Conference will examine the key challenges in achieving sustainable transportation and its impact on place making. It will look at the political, cultural, strategic, physical and financial issues to be addressed and will draw on case studies and experience elsewhere. University of Ulster will host a half day Symposium on Friday 21st May, examining the future challenges and opportunities facing the housing association sector locally. 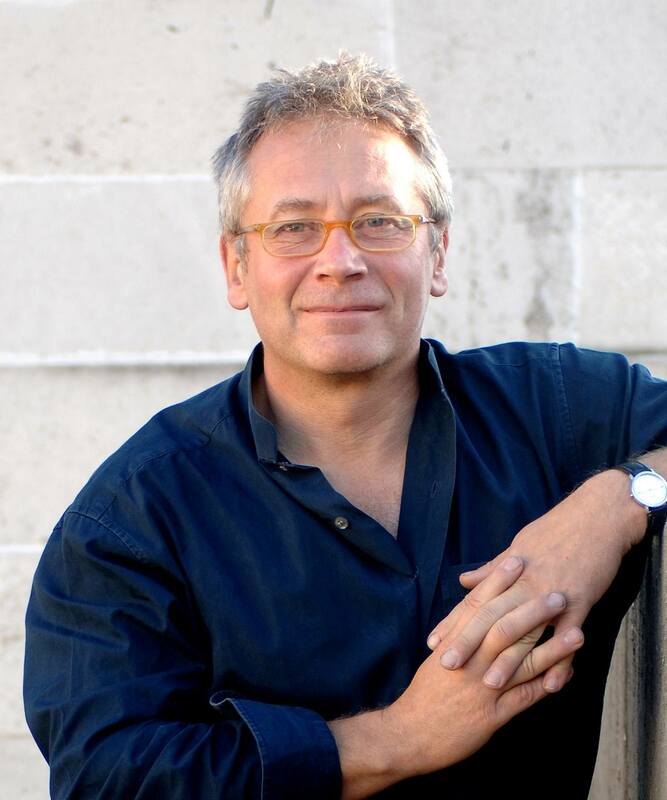 Architecture Centre Network, the development and advocacy organisation for 23 architecture and built environment centres in the UK, is delighted to announce Peter Bishop as the organisation’s new Chair. Peter is Deputy Chief Executive of the London Development Agency. He was appointed as the first Director of Design for London in 2006, and in 2008 as Group Director of the London Development Agency, responsible for design, land development and its environmental, housing and public space programmes. Over the past 20 years, Peter Bishop has been a Planning Director in four different Central London Boroughs and has worked in major projects including Canary Wharf, the development of the BBC’s campus at White City and the Kings Cross developments, one of the largest and most complex sites in London. Peter lectures and teaches extensively and is a visiting professor at the Faculty of Architecture and the Built Environment at the Nottingham Trent University. Architecture Centre Network continues to grow as the organisation goes from strength to strength. We are pleased to announce two new collaborator members: Transform in South Yorkshire and the Irish Architecture Foundation. The new Architecture Centre Network Guide has just been published online here and is available in hard copy from the Architecture Centre Network. The guide highlights the collective impact, resulting from expertise in design review and enabling, placemaking, education and training, exhibitions and debate, and the research and knowledge sharing that underpins the network. This documentary made in 1975 by BBC Northern Ireland follows the housing problems in Belfast and the proposed development of the Belfast Urban Motorway. The Belfast Urban Motorway was the name given to an ambitious scheme to build a continuous free-flow motorway around the city centre. For various reasons the scheme never went ahead. The Documentary looks at the problems of the Divis flats development on the Falls Road and the difficulty of the living environment. It also looks at the depopulation of the Shankill Road as people moved to the outskirts of the city to housing schemes such as Springmartin. People talk about the difficulty of this move because of the poor conditions and isolation from their original communities. Following the screening Jackie Redpath alongside Declan Hill and Mark Hackett (Forum for Alternative Belfast) will talk about the issues raised in the films. 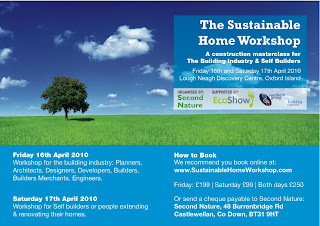 To book your tickets online click here. (Tickets also on sale on the night). A site-specific exhibition of images sourced from the Belfast Exposed archive, placed in sites around the city centre. The images and their role as historical document are given a new context by positioning them in on-street advertising panels. Meet at Belfast Exposed at 2pm before embarking on walking tour of the exhibition sites, led by one of the original photographers, who can give a unique first-hand account of each photograph. Tour will finish up at The Dark Horse on Commercial Court for a drinks reception. "Belfast has had nothing of any architectural merit built in the past 50 years." BBC Northern Ireland: Good Morning Ulster: 26/02/10: 8.38am. Following comments by Environment Minister, Mr Edwin Poots that he was going to radically reform the Planning Service, BBC presenter Karen Patterson read the above anonymous text message. Chaired by Finola Meredith, a group of leading architects, planners, community activists, academics and journalists will debate the subject. Ten well known Belfast Buildings will be presented. Both panel and audience will have the chance to vote. 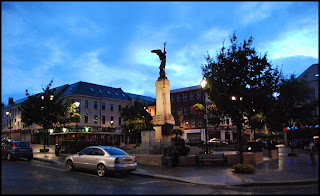 Support Derry ~ Londonderry in its bid for the 2013 City of Culture! Register on the City of Culture website. 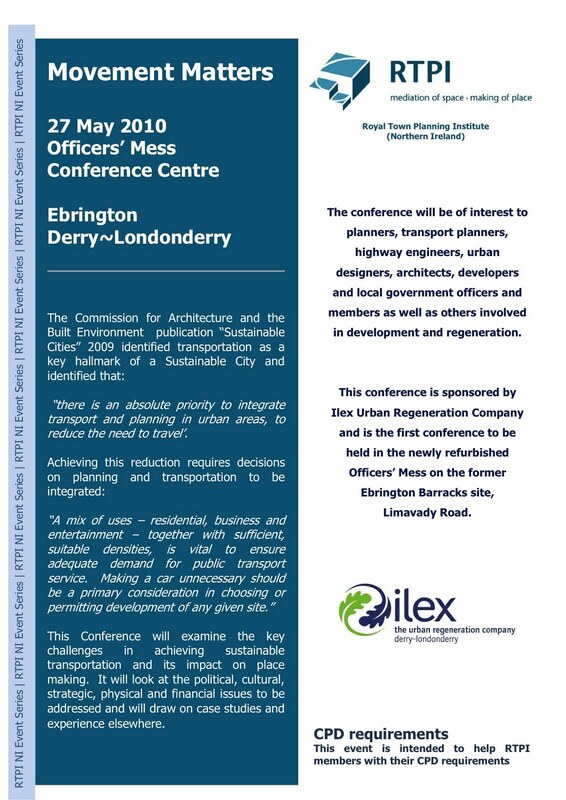 PLACE is working in partnership with Derry City Council and Ilex and is harnessing energy and support to achieve a winning bid for UK City of Culture 2013. The bid is bringing together the creative energy of public and private sector agencies to build upon the outstanding physical, social, and cultural achievements in the city with a focus on celebrating and debating the uniqueness of Northern Ireland. Become a fan of City of Culture 2013 facebook site and make sure the world knows that Derry has the best supported bid of all the candidates. City of Culture 2013 Facebook Page: become a fan, ask all your Facebook friends to become a fan, ask them to ask all their facebook friends to become a fan. For ALL employers out there – just this once, why not encourage your staff to do the same? The ripple effect could be the thing that gets us over the line. Actively display leaflets, posters or provide a web link to the www.cityofculture2013.com site. 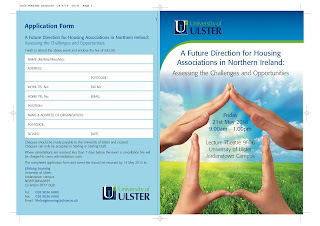 Please forward your details through to sinead.harkin@derrycity.gov.uk or by telephone 02871 363558 or call into the Northern Counties Building, Waterloo Place for further info. We aim to have literature ready before Easter for distribution. We are also working up ideas regarding online competitions, a showcase weekend of culture in May and the opening of the city centre culture information point which is now open in Unit 1 & 2 Northern Counties Building, Waterloo Place (t) 02871 363558. We have made a commitment to issue a weekly e-zine with updates so please feel free to circulate freely. Bank Square Regeneration from Northern Visions/NvTv on Vimeo. - Extending Streets Ahead project from nearby Royal Avenue. 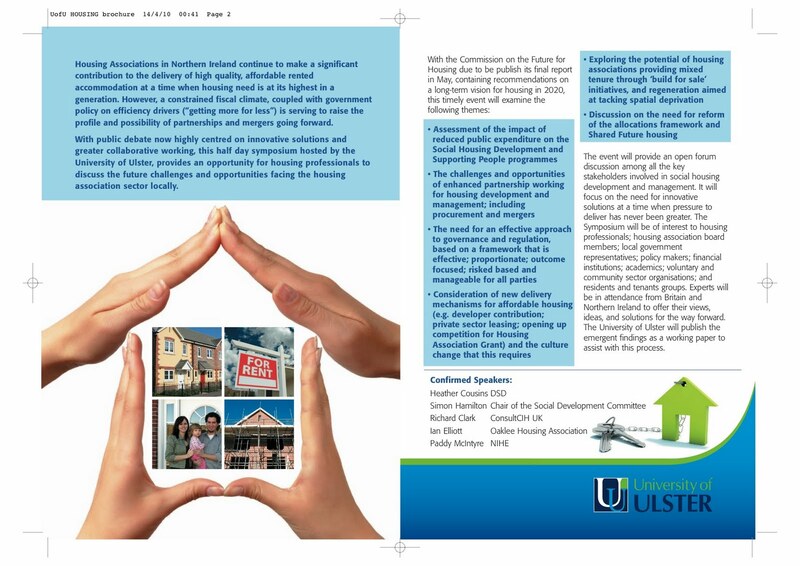 - RPS scheme is a kickstart to the regeneration of the area. - Talked about FAB's plans for the square. - Reducing size of Castlecourt service yard; adding small units along its exterior. - Reopening Berry Street is key. - Disenfranchised physically from Royal Avenue. - "When you've got a focus on this area through a masterplan, we shouldn't just be looking at the surface treatment. [Issues like reopening Berry Street] will unlock the street and enliven it." - "We want people to come in and say, this feels like Belfast; this doesn't feel like Brussels or London or Milton Keynes. It feels like something unique to Belfast. And what they gave us is something very bland." 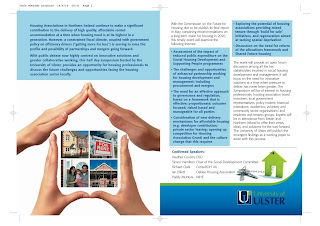 The submission to the West Side Regeneration District Draft Regeneration Plan, hosted by PLACE in September 2008 is available for download from the PLACE site: click here. 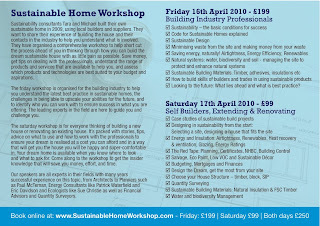 The Sustainable Home Workshop brings together all aspects of sustainable housing in one day. 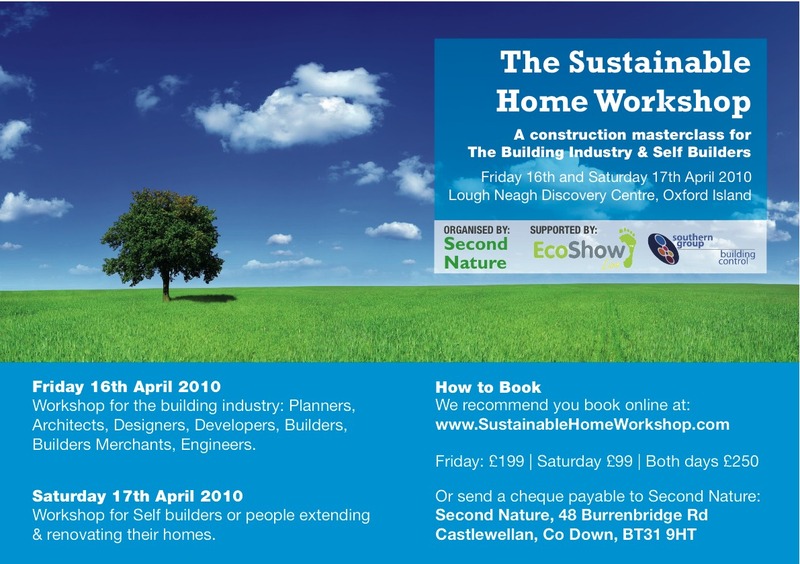 On Friday 16th April you can join with experts in sustainable planning, eco design, energy design, sustainable building materials, water and ecology, and building regulations, to understand the implications and the opportunities in the move to sustainable housing in Northern Ireland. The challenge is huge, as are the opportunities. 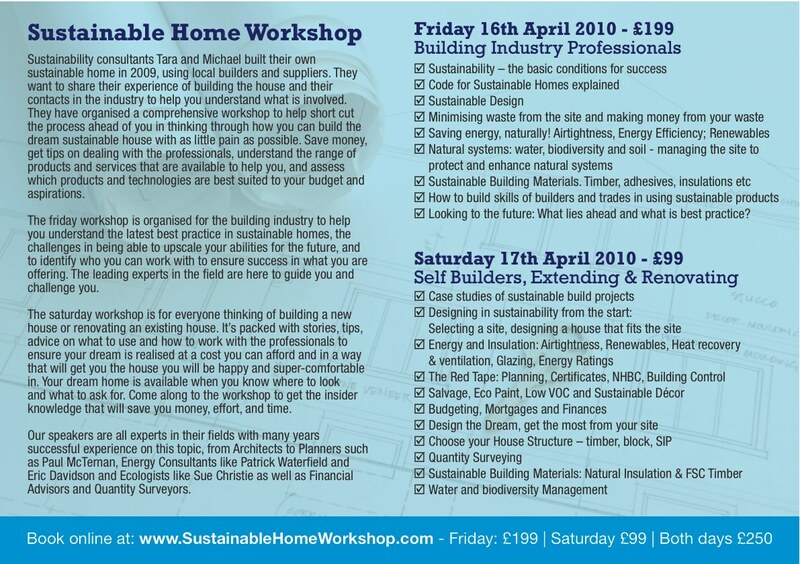 If you interested in self build then you can join a practical workshop in a sustainable house on Saturday 17th April, with visits to build projects. Now available on the iPlayer, two editions of Melvyn Bragg's In Our Time on "The History of the City". The first programme takes the long view from Mesopotamia in the 8th Century BC up until the milestone of London passing 1 million inhabitants in 1801. The second episode, which aired this morning, focuses on the explosion of development from the 19th century to the present which has transformed both city centres and vast swathes of their surrounding landscapes. Panelists include Peter Hall, Tristram Hunt and Ricky Burdett.